The gingerbread house at Stella San Jac also includes a photo booth. 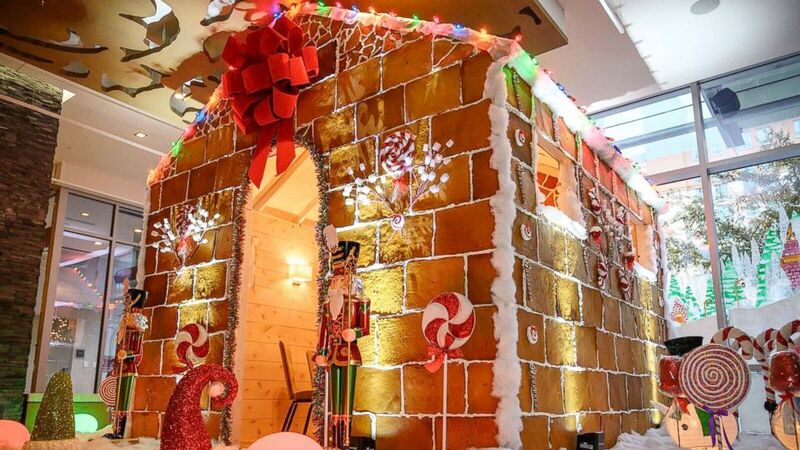 A Texas-sized gingerbread house has become the Instagram-worthy setting of feasts at a Texas hotel. Made of 900 pounds of flour, 25 cases of butter and 350 pounds of brown sugar, the house is a one-of-a-kind dining experience inside Westin Austin’s Stella San Jac restaurant. 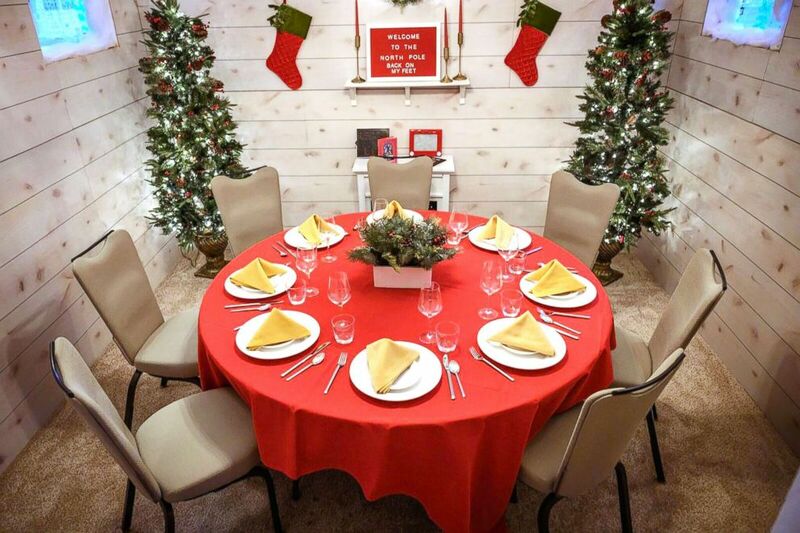 "They’re in awe when they’re sitting down," Martin Wilda, the executive chef at Stella San Jac, said of his guests. "They can smell the gingerbread so just sitting in the house is an experience in itself." 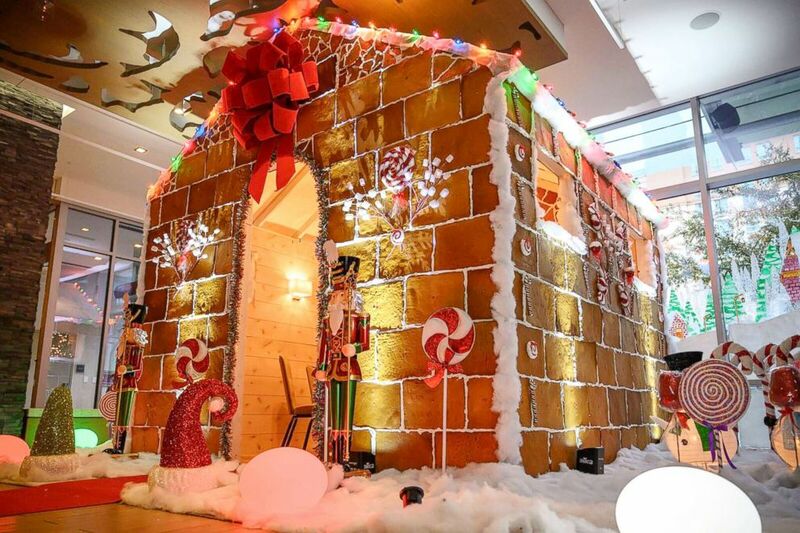 (Westin Austin Downtown) The team at Westin Austin's Stella San Jac restaurant began building the gingerbread house in October. Wilda and his team of chefs started constructing the gingerbread house in October, making around 20 bricks of gingerbread per day. The house also contains 36 cases of corn syrup, five cases of pure cane syrup, five packs of pumpkin spice, five cases of egg whites, 25 pounds of ground ginger and 500 pounds of powdered sugar, according to the hotel. This is the second year in a row the hotel has created the gingerbread dining experience. It is reservation-only and stays open through Jan. 1, including Christmas Eve and Christmas Day. Diners can feast on a specially-created menu for breakfast, brunch or dinner, but there's another sweet perk: the restaurant says it will donate a portion of all proceeds to a local Austin charity that works to combat homelessness. (Westin Austin Downtown) The gingerbread house at Westin Austin's Stella San Jac restaurant is made of 900 pounds of flour. Tony Pampena is a contestant on ABC's "The Great Christmas Light Fight," where families battle it out for the best displays. The Mures create an elaborate Christmas display at their Rockaway Beach home. I made 3 of Pinterest's most popular pies for Thanksgiving; this was the favorite! They were all amazing tbh, but one pie was the winner. Check out which one! Wilda worked with the hotel's engineers to construct last year's gingerbread house, the sweet idea of one of the hotel's managers. "[A hotel manager] and I were walking around the hotel last year and we walked through dining room and he said, 'I want you to build a gingerbread house and I want eight to 10 people to be able to eat in it,'" Wilda recalled. 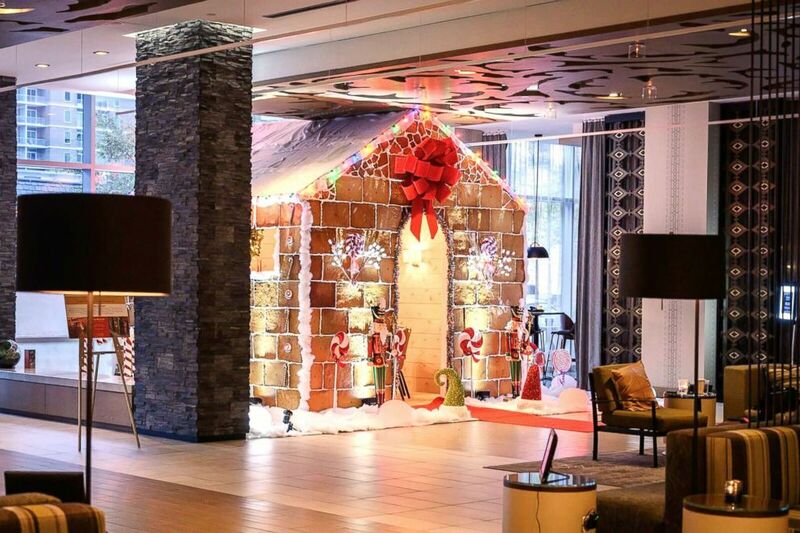 (Westin Austin Downtown) Westin Austin's Stella San Jac restaurant's dine-in gingerbread house is open through Jan. 1, 2019. This year, chefs doubled the size of the house and also included an interactive photo booth. After building two life-size gingerbread houses, Wilda has one piece of advice for at-home bakers looking to perfect their gingerbread house-making skills. "The one thing I've learned is when you make the royal icing, do not make it too stiff," he recommended.